Many of you may have wondered why your local Family Mart has suddenly disappeared and been replaced by a CU or CU Later or even CVS for You. I personally was a little surprised at why there was a real need to change the name. However after reading this article (Rebranded Family Mart will CU later) I feel can understand the thinking behind it in this simple quote. 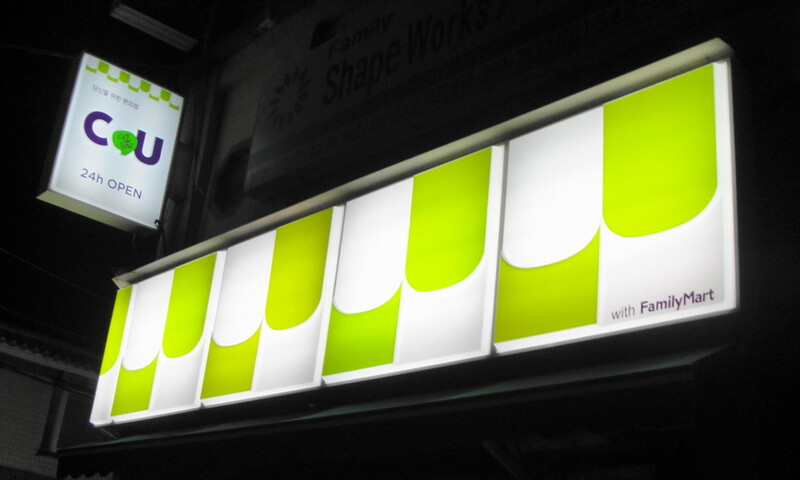 It is a gradual process which means that your local Family Mart may not change for at least a few months. Any questions or comments please let us know. CU has extremely poor service!!! Plus it is WAY TOO EXPENSIVE!! 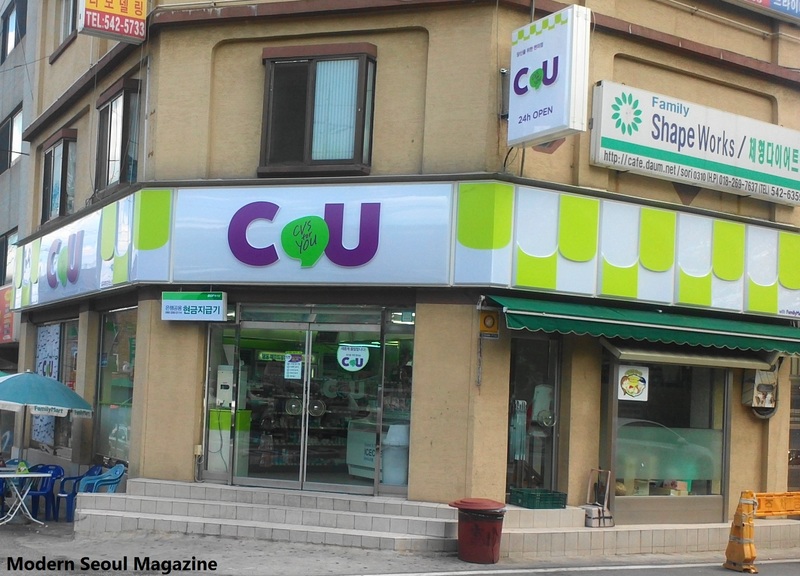 My appologies, but I will NEVER use a CU store agin! (Which, by the way, sounded so much better when it was Family Mart…and CU sounds uninviting). At any rate, you need to re-train your cashiers! I have NEVER EVER seen one of your cashiers, in and out of Seoul, South Korea, smile or ever say have a nice day like they do in other convenient stores. I ALWAYS walk out the door shaking my head because I felt like there was no friendliness or ‘warmth’ in your staff. I’ve actually received more help and smiles with your customers!!! WHAT THE HELL IS THAT??!!! 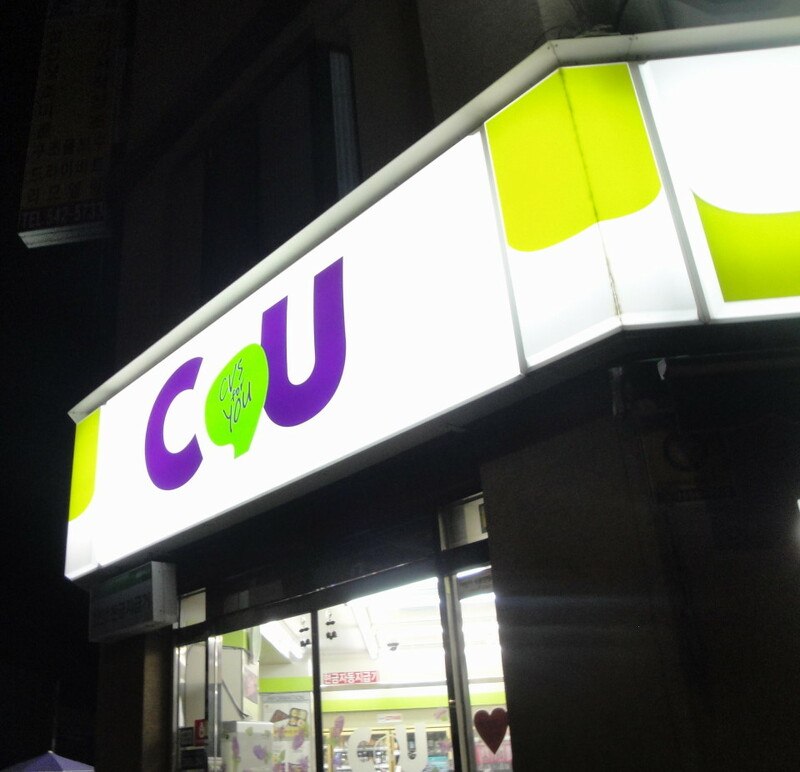 The only reason I started going to CU is because a chain recently opened in Muju, South Korea. and it is logically placed close to my home-3 minutes max. walking distance and the two elementary and junior high schools in the local area. There has been at least 3-4 students there after school ends at any given moment. But HOT DIGGITY DAMN, you’re EXPENSIVE!!!!!!! I can go to the local city market and buy the exact product for at least 300-400 Korean won less than what you offer!! Like I said, I will NEVER EVER again use CU-even though it’s convenient, nor will I ever recommend a shopper to use your store. It is entirely up to the shopper, but I-personally-will not. You’ve just lost a shopper.